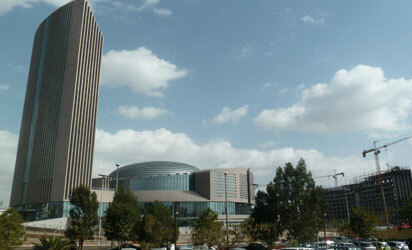 Addis Ababa has been Africa’s diplomatic capital since the formation of the OAU in 1963. The choice of Addis Ababa was mostly because of the influence of the late Emperor Haile Selassie, one of the driving forces behind creation of the OAU. The 2,550-seat big conference hall, a 650-seat medium conference hall, five press conference rooms, two VIP rooms, and other facilities will ensure African leaders meet in more comfort. Previous summits have held in the United Nations conference centre, as the AU headquarters building was too small. Critics of the project, mostly from the West, warn Africa of the consequences of permitting so much Chinese influence in the continent, but they could be jealous of losing their rights to exploit Africa, the same accusation they make against China. None of those critics could build that structure without killing conditions attached to it. Nor could AU members have raised $200 million for its headquarters at a time their economies are in tatters. “People in Ethiopia used to call that infamous prison Alem Bekagn. Loosely translated it means, ‘I have given up on this life.’ This building, which will now house the headquarters of our continental organisation, is built on the ruins of a prison that represented desperation and hopelessness,” said Meles Zenawi, Ethiopian Prime Minister who was proud of his role in executing the project on the site of a notorious prison, where government tortured opposition leaders. Africans want to see desperation and hopelessness replaced in their lives with projects that impact their lives more than shiny edifices like the new AU headquarters. The ideological baggage that achieves this objective is unimportant contrary to propaganda that makes a gift from China seem worse than one from the West. Africa can benefit from relations with China in more areas. The most critical will be projects to improve lives of Africa’s more than one billion people, majority of who dwell in rural areas and in griping battles with abject poverty.